Hello all! Today I would share with you something which was my very first attempt at any real baking. 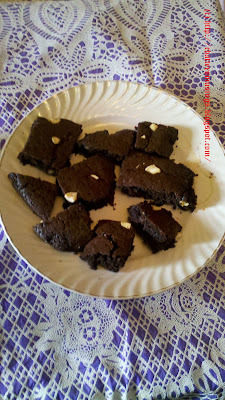 Chocolate brownies recipe is taken ,inspired and learnt fine details from Kavi @ Foodomania. Ever since I bought my microwave oven I was inspired and tempted to try out things and this was the first in list to bake a cake. Brownies to me is almost a cake. 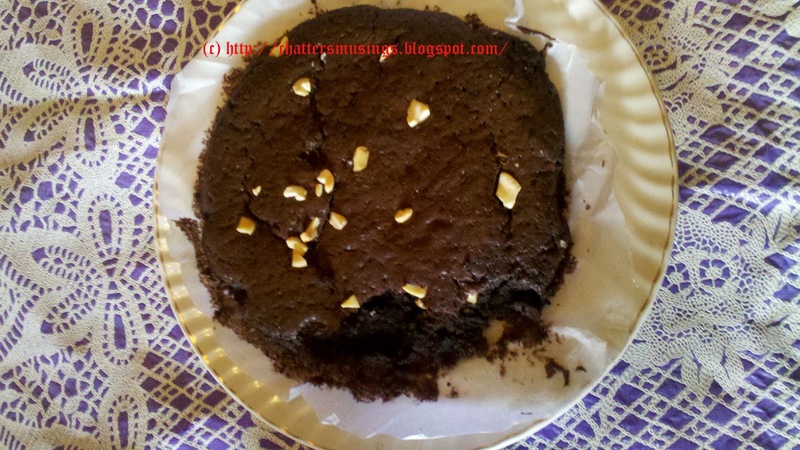 I am copying the ingredients which Kavi has showed in her post Nutty chocolate brownies. Her oven and mine is same so I could try it out and if stuck can seek her help in exact settings. So this post is dedicated to Kavi and well since its my birthday so Happy Birthday to me and sharing the brownies with all of you. My first attempt came out good but not exact good yet it was finished in 10mins flat. I mailed Kavi and showed her the pic and asked her the correct settings again and this again was my second attempt in another 1hour and believe me the second lot came out yummy soft and delicious. This lot also finished fast and now I am tempted to make a third one again. Sift flour, sugar, cocoa powder, baking powder, baking soda & salt together. Let it rest for around 10-20 minutes in the tin. Loosen the edges of the tin with a knife and transfer to a plate. Cut and serve once it is completely cool. The first attempt at brownies came like this. Not bad for a first timer though and my son couldn't wait so he took some bite before I could take pics. Final product from second lot which I made was soft and spongy brownies with perfect sugar and cocoa. No body wanted to wait and it was finished in flat 10mins. Hope you like this and yes oven settings would vary from oven to oven. 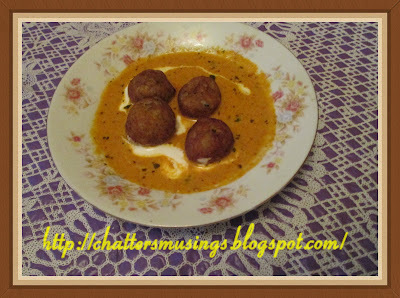 Recipe credit goes to Kavi and pics and attempts here are mine. 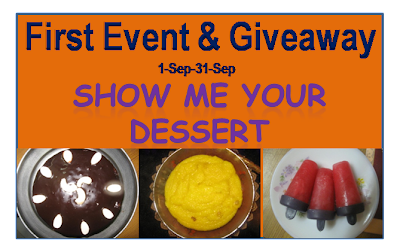 For me I tasted the batter before putting in oven and first attempt cocoa was more so for second i reduced cocoa and increased sugar. 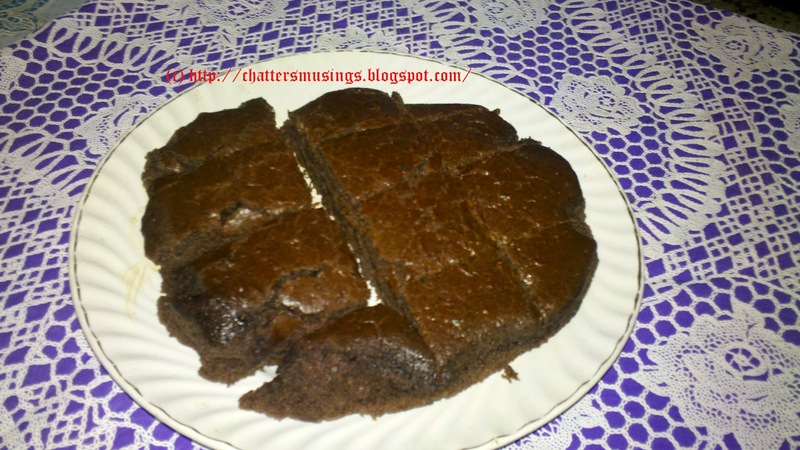 Though Kavi writes it takes time to bake these but perhaps I had messed with settings or the quantity was still less and my brownies got done in 10 mins. But the taste was yummy and home made and eggless. In second lot I did not add any nuts. Over to you for your lovely comments. And yes I am still learning basics of baking but seeing this recipe I couldn't resist at all. Delicious and mouthwatering cake. Being egg less makes it even healthier. It is such a satisfactory feeling when you bake for the first time.. They look Yummy!!!! Chalo hamari taraf se ek piece le lijiye with all the good wishes. Happy Birthday again. Wish you the best in life always. 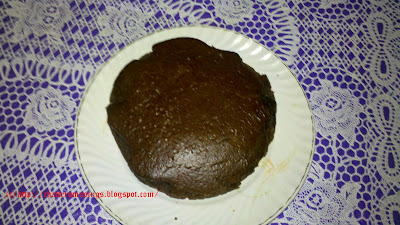 nice attempt ..looks nice and delicous..
Wow, good one.. you started trying chocolate cakes as well.. :) good go.. Wow!! That looks astonishing!! Eggless too. Bookmarking :)) Why don't you add this to my dinner party?? Belated Happy Birthday to you Meena, your brownies looks yummy! Its a good effort for a 1st timer. 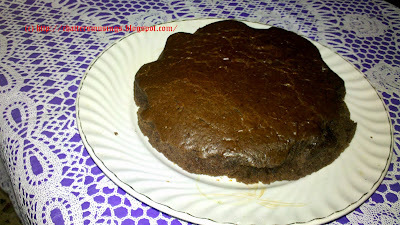 belated wishes meena :) awesome cake..
Belated wishes dear, the brownies look superb..
Hey Meena, thank god, you got back your blog in 40 mins, I had to wait for more than half a day, but at least now we know that something like this can happen, I heard about this back up thing, but I don't know how far that'll help, let's keep our fingers crossed, hoping that this'll not happen again..
wish I could buy an oven !